Fundraiser by Benjamin Morison : Flipflopi Project - Lamu, Kenya. Flipflopi Project - Lamu, Kenya. Our Cause, and what we've done so far. 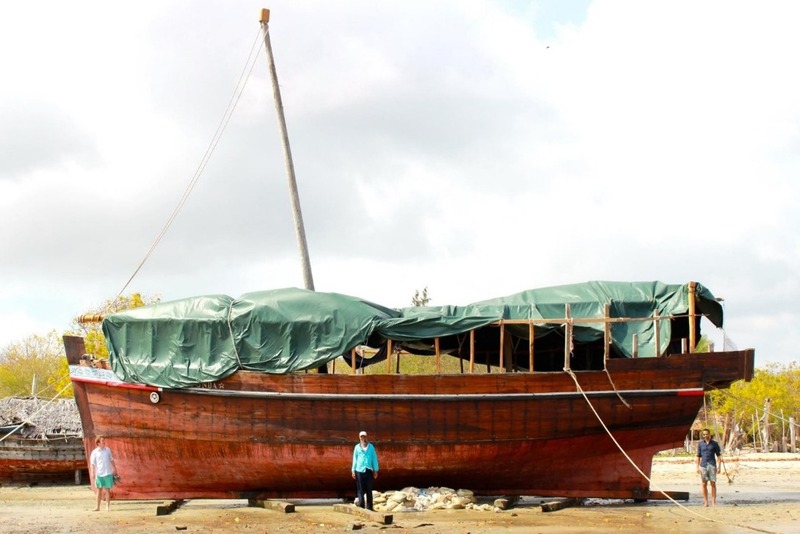 2 years a group of volunteers decided to try and build a boat entirely from plastic waste collected on beach clean-ups along the Kenya coast. I was one of them. 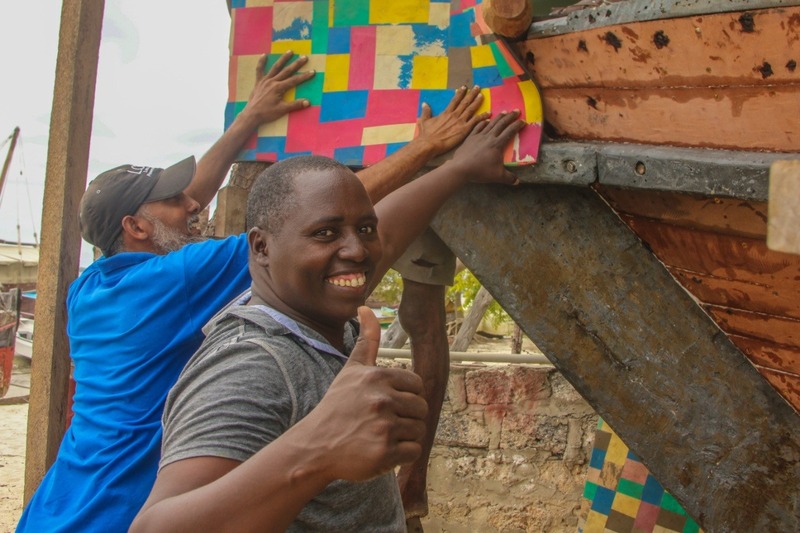 We wanted to encourage change in a positive way, so we decided to cover our entire boat in one of the biggest components of plastic waste in Kenya... flipflops - instantly turning it into a multi-coloured and very eye catching sight. Naturally we called it The Flipflopi. In September 2018 we achieved our goal - on International Ocean Clean Up day, we are launching The Flipflopi - the worlds first 100% recycled Plastic Sail boat. You can see film and imagery of the boat and launch on our website www.theflipflopi.com. As you can see from the title image - its not just any boat, but a beautiful, multi-coloured traditional Swahili Dhow :-). Our objective has always been to share a very simple message : that single-use plastics really don’t make sense. 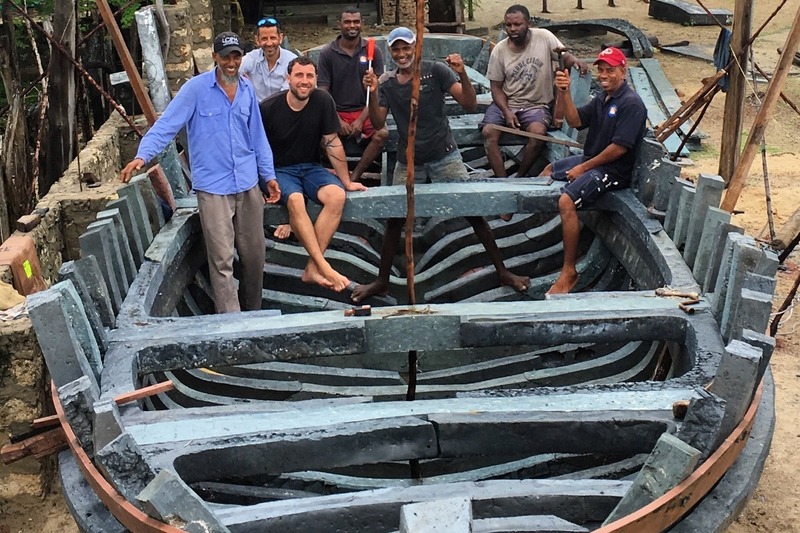 And we've only used locally available, low-tech solutions to ensure that our techniques can be copied without any barriers - so we hope that people around the globe are inspired by our beautiful multi-coloured boat and find their own ways to repurpose ‘already-used’ plastics. Why Raise More Funds if you've just completed building the Flipflopi? The boat launched in September 2018 is 9 metres in length and capable of short journeys in coastal waters. It will sail in regional waters and inspire a great number of people to rethink their single-use plastic consumption. 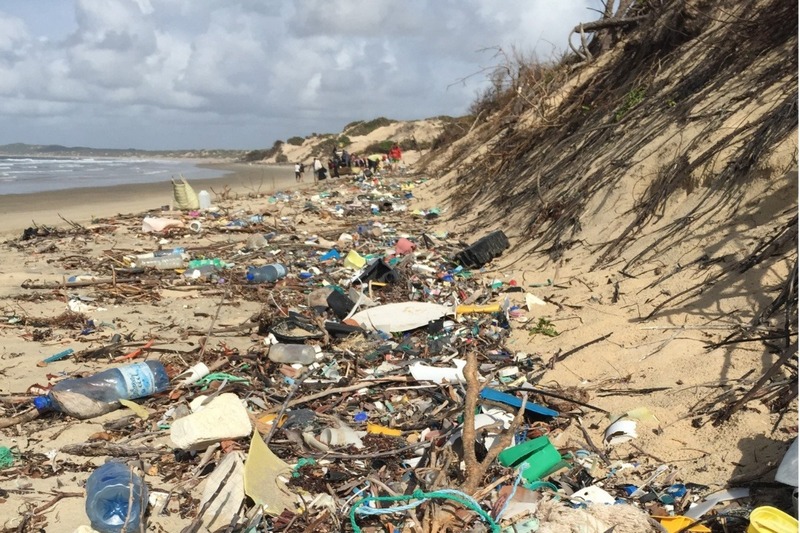 But it won't change the world, and it won't change Kenya's beach plastic problem - because for every piece of plastic picked up, the ocean tide brings five new pieces. The beach in Lamu after a high tide - on this clean up we collected 5 tonnes of plastic in 3 hours. To bring about global change to how single-use plastic is used - we have to take the message to the heart of the ocean plastic problem - Thailand, Vietnam, the Phillipines, China, Indonesia & Sri Lanka - all in the top emitters of marine plastic in the world. 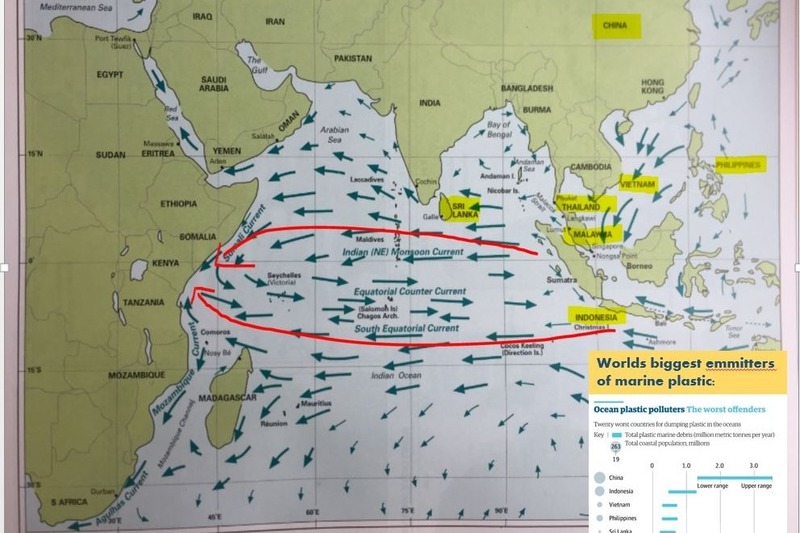 A global issue: Ocean currents make SE Asias marine waste Africa's problem. We want to play our role in doing that, and having learned a great deal in the past 2 years about campaigning and about using plastic waste to build boats - quite honestly, we think it our duty to do so. Unfortunately our 9 metre Flipflopi Dhow is too small to cross the open ocean - so we are going to build a dhow more than twice her size, capable of sailing around the world spreading its important message - that single use plastics don't make sense. The next boat we build will be this big - 20m's long, using 50+ tonnes of recycled plastic, and capable of sailing around the world. We are all stakeholders in the critical challenge of making the message hit home... that already-used plastics must be part of a circular economy. 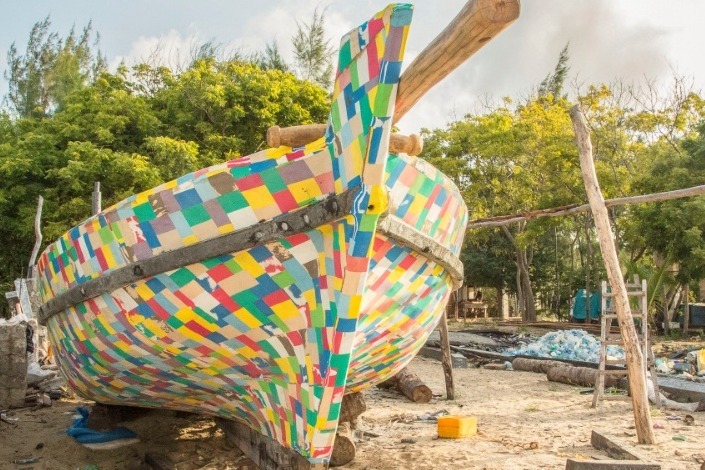 Make no mistake, the planet is on the edge of a global calamity - this colourful dhow made of recycled plastic may make you smile, but rest assured, what we are deadly serious, and our mission is urgent. When we started the Flipflopi project in 2016, sustainable consumption of plastic was not a mainstream concern. Today in 2018 the consensus view is that its one of the defining environmental issues of our time. Our campaigning has played a small but important part in that - and without voices like ours - the urgent actions needed will not happen. The Flipflopi Project is entirely run by volunteers. The only people who get paid are the boat builders who earn a living wage. All donations are received by a charitable trust (operated by a friends father - thank you Mr Radia! ), regulated in the UK by the Charities Commission. In Kenya where it is based 'The Flipflopi Project' is a registered foundation - and all our financial records are audited and available for external review. 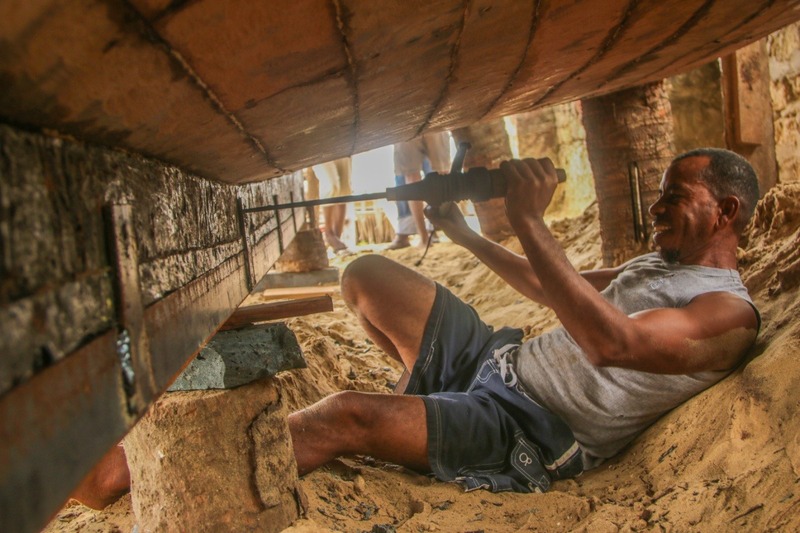 The funds raised are solely used to build a boat. To be precise... a 20 metre long traditional sailing boat entirely from recyled plastic and weighing approximately 50 tonnes. Nothing else. How do you follow the Flipflopi's progress? We post regular updates on our website www.theflipflopi.com, and regularly have press visits that tell our story through international media. Can I help build the boat, or sail it around the world once it is built? We are a volunteer run project, so any assistance on any parts of the project our welcome - please see our website for more. Sailors - it will be possible to join a number of the legs of the expedition. We will release details on our website once the end of the build is in sight and we have dates for the expedition. 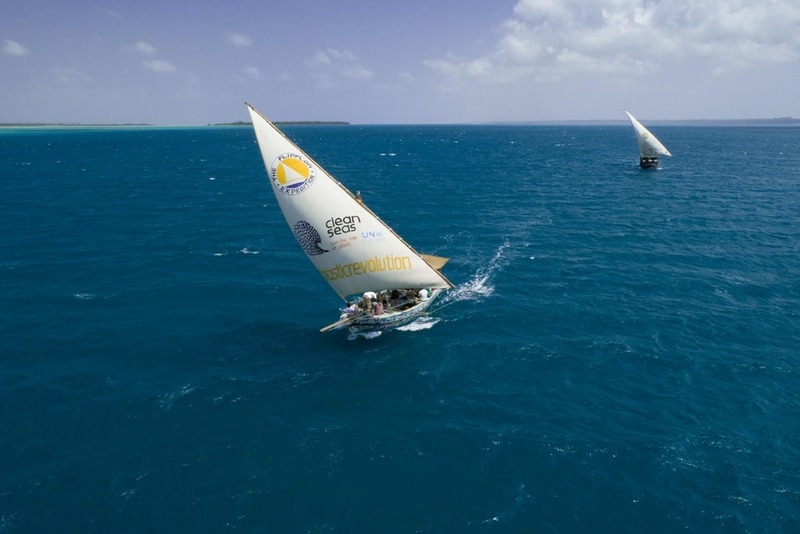 Backed by the UNEP Clean Seas Initiative, Flipflopi Dogo set sail on her first overseas expedition in January 2019, travelling 500kms from Lamu, Kenya to Zanzibar, Tanzania to raise awareness about marine plastic pollution. Flipflopi sailed south along the coast of Kenya stopping in Watamu, Kilifi, Mombasa, Diani and Shimoni, before crossing into northern Tanzania to Pemba Island and culminating in Stone Town, Zanzibar. Along the way, our team of volunteers visited multiple schools, communities and government officials, sharing practical solutions on how to reduce and repurpose plastic waste and changing mindsets. Beyond generating huge international awareness, Flipflopi was able to engage communities, businesses and policymakers in serious discussions - and we started to see real actions, not just words, from the people who have the ability to really turn the tide against single-use plastic. - The expedition was featured in >50 local, regional and international media. 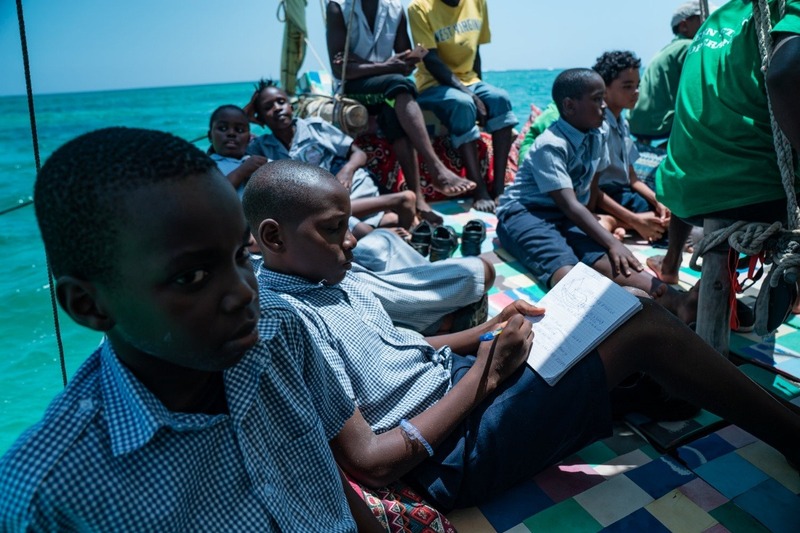 - We directly reached ~ 3000 schoolchildren who came on the boat to learn about plastic pollution. - 39 businesses (as of today) in the local tourism industry have pledged to ban/reduce single-use plastic. - Mombasa county, Kenya committed to closing the largest dumpsite and install environmentally friendly waste management systems in its place. - National government officials and environmental governing bodies in Kenya and Zanzibar made commitments for long-term progress. Now we need your help to take the plastic revolution around the world!